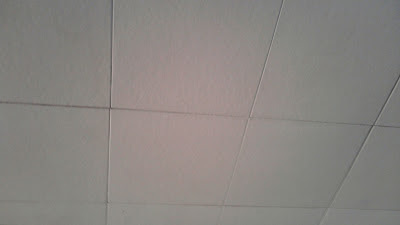 This is the pictures of a before and after of the ceiling, to the house we are furnishing. Because the house was outdated and needs to be fix before the mortgage will be approved from the bank. We have to make sure that we will pass the codes and law of the State as well as being able to get the mortgage. 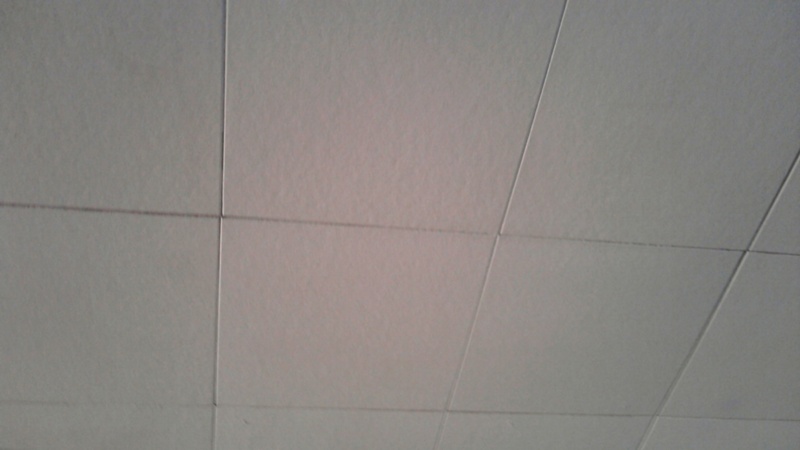 I am not really fun of ceiling because it is way too hard than you could imagine. Because we need to make sure we will be able to be finished before the allotted date, there are other ways to sold the problem. Simple ways, inexpensive and much quicker. 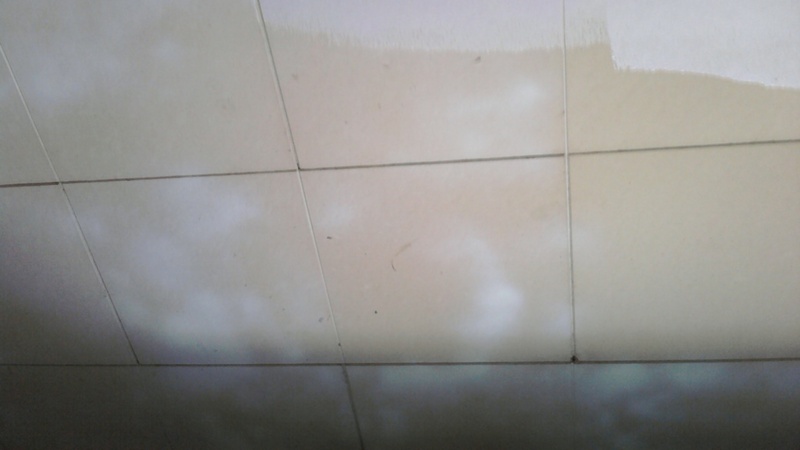 Since the ceiling isn't that bad and old, we had to do something about the stain. Removing the ceiling wall is another long job to do. So, researching is the best way we can do. Glad to know hubby who do most of the jobs in the house found a good solution. We bought this spray at Home Depot and as he sprayed it, I will show you the transformation of the old to the updated one. So you could see the difference.